Hello and welcome to a special Christmas Day hop! Organized by Helen Hollick, more than 20 historical authors are sharing snippets of their work. Details about the hop and links to their wonderful stories are below. My series of historical thrillers tell the story of Joanna Stafford, a Dominican novice struggling to survive the turbulent reign of Henry VIII. This excerpt comes from the second novel in my series, The Chalice. It is Christmas 1538. Sister Joanna and her fellow nuns and the friars have lost their home--Dartford Priory was demolished as part of the Dissolution of the Monasteries--and they are trying to make new lives. It's difficult ... and it's dangerous. 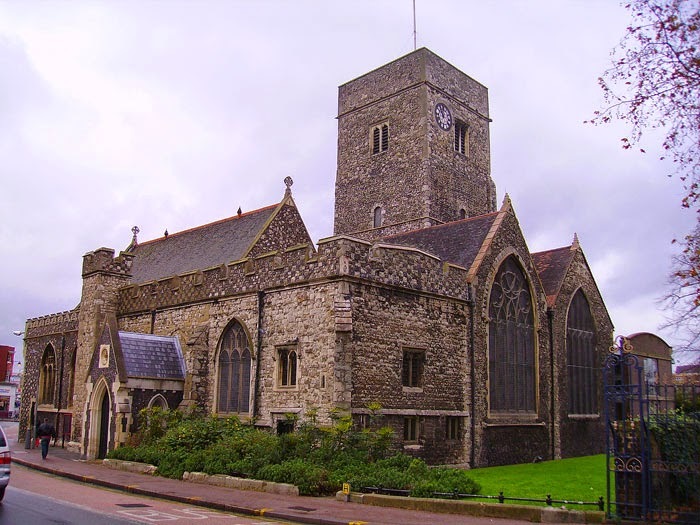 At Mass on Christmas Day, there was not an empty seat to be found in Holy Trinity Church. The church had been stripped of its adornments, its beautiful images painted over, but something significant was added: long wooden pews. As Father William Mote told the story of Our Savior with as much vigor as he was capable of, I sat in a pew halfway down the middle of the church, next to Arthur and Sister Winifred, with Brother Edmund on the other side. We were no longer relegated to the chantries chapel. But then there was the chain. As Father William expounded, he stood next to it--a platform nailed to the altar and, attached to that platform by a long and heavy chain, the first English translation of the Great Bible, written by Myles Coverdale. "I am exhorted by Lord Privy Seal Cromwell to gently and charitably exhort you to read this Bible for yourselves," Father William announced to us two Sundays ago. Ironically, the only parishioner who made it his business to study Coverdale's Bible was Brother Edmund. "I do not fear the Scriptures and will not be corrupted by misinterpretation," Brother Edmund reassured Sister Eleanor, who begged him not to put himself at risk. Faulty translation from the Latin, leading to heretical belief, is what we Catholics feared. After a few days of reading, he commented, "Coverdale acquits himself well. He was an Augustinian, after all." My problem was not with the book itself but the chain. Every time I looked at it, I feared I was being dragged back to London, to the court and prison and scaffold of King Henry VIII. As I listened to Father William's sermon, I put both my hands around my throat and closed my eyes. When Mass was finished, Brother Edmund asked, "Sister Joanna, may I have your assistance in the infirmary for a short time?" "Of course," I said. My little cousin Arthur, excited about the coming feast, skipped off with Sister Winifred. We had pooled our pence and purchased mutton so that Sister Winifred could make a mince pie. Brother Edmund's small infirmary on the High Street, tidily kept and stocked with potions, pills, plasters and herbs, was empty. As Brother Edmund lit a small fire in the back, I thought it was doubtful that someone from town would require the services of an apothecary on Christmas Day. "Sister Joanna, I must speak to you in confidence about something important," he said, gesturing to the stools set next to his oak work table. "Yes, Brother?" My breath quickened. I wanted to be important to Brother Edmund. He pulled his stool close to mine so that we were inches apart. I had not been alone with him since I reached for his hands in the calefactorium at Blackfriars, in London. He said, "I must know if you have noticed anyone following you." I drew back, surprised. "What do you mean?" Running those hands through his ash-blond hair, he said, "I believe that someone watches me. I see a shadow in the doorway and turn--the shadow is gone. It could be anyone, not a man following me. But the last time it occurred, when I heard the footsteps, I slipped between two shops and waited. No one appeared for a very long time, and then it was the butcher and son. The man had been clever enough to know what I was doing and turned back." I stared at Brother Edmund, struggling to take it all in. "Are you absolutely sure that no one watches you?" he pressed. "I cannot be sure, of course, but no, I've..." the words died in my throat as a most fearful speculation took hold. And that is all for my blog hop! If you would like to read more about Joanna Stafford, please enter the giveaway contest for the first book in my series, The Crown. It was an Oprah magazine pick in 2012. The review said: "Bilyeau deftly weaves extensive historical detail throughout, but the real draw of this suspenseful novel is its juicy blend of lust, murder, conspiracy and betrayal." 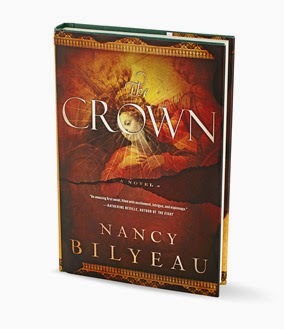 If you would like a free signed copy of The Crown, leave your name and email address in the comments below. The book can be shipped anywhere in North America. Yew are bein' follerd, Nancy; or is it just a fancy? It don't matter none-- so 'ave yerself a real 'appy Christmastide...! Very intriguing! And nice to see the very church you're describing too - love location scouting. Thanks Nancy. Ooh, a lovely mysterious shadow in the doorway! What a lovely slightly spooky Christmas reading! Not a good time to be a monk or nun. Merry Christmas! Fabulous stuff - I need to read your books asap! Merry Christmas! This was absolutely captivating, Nancy. The tension was palpable. The POV of the characters regarding the English translation of the Bible was different. They see it as a troubling, evil thing whereas its publication was the beginning of the freedom of speech. Like the comment that the translator was an Augustinian. I certainly hope they aren't in trouble. Christmas in Tudor times must have been a magnificent sight, with the pageantry, dancing, the lord of misrule, etc.I don't know how they coped with the cold though.I enjoyed "The Chalice". Very atmospheric and intriguing, Nancy - loved it! 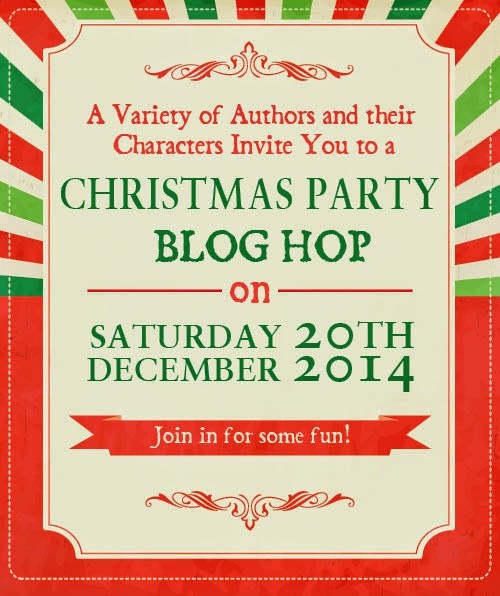 I'm having a lovely time re-visiting the Blog Hop thank you for taking part and have a Happy New Year! I always think what an interesting time this was religiously, with scriptures starting to become accessible more widely - cruel as well, but you have brought out the sense of new horizons here very effectively, Nancy. Thanks for posting this.